Bollywood stars do have a huge fan following and it is frequent that we come across doppelgangers of Salman Khan, Shah Rukh Khan, and other stars. However, it is once in a blue moon case when one celebrity looks exactly similar to another celeb, just like in the case of American singer-songwriter Julia Michaels and Anushka Sharma. 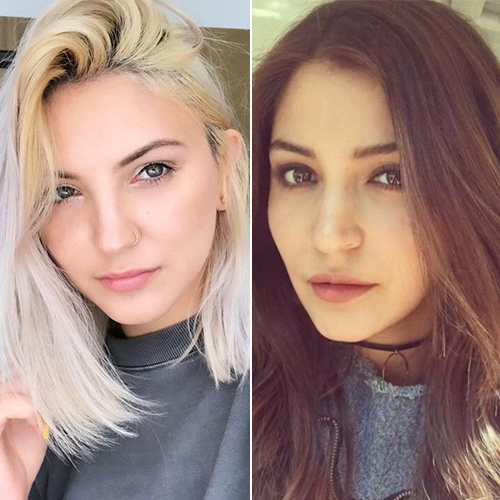 Two days ago, Julia Michaels posted a photo of her on her social media profiles and the internet can't stop freaking out due to her uncanny resemblance to Anushka Sharma. The only visible difference is that Julia has a blonde hair colour. People couldn't stop tagging Anushka Sharma and Virat Kohli on the picture. The singer also started trending in India on Twitter.